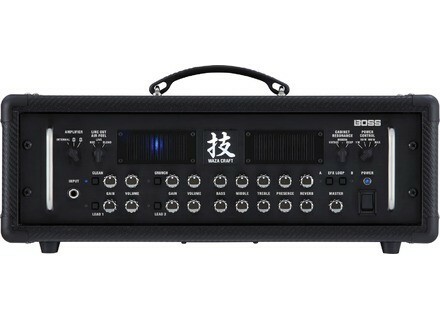 Waza Amp Head, Solid-State Guitar Amp Head from Boss in the Waza series. [NAMM] Marshall introduces Mini Jubilee amps Marshall has introduces the 2525 Mini Jubilee head and combo, inspired by the brand's JCM Silver Jubilee model. [NAMM] DigiTech Trio+ Band Creator + Looper DigiTech introduces the Trio+ Band Creator+Looper, an easy-to-use guitar pedal that automatically generates bass and drum parts that match your song.